Almo Professional A/V reinforced its commitment to global distribution at InfoComm 2017 with the introduction of its new Almo Global Business Team. The distributor also premiered its Almo Global Website and conducted booth tours for partners in Spanish throughout the show. 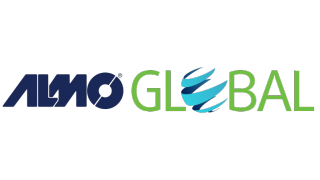 The Almo Global Business Team, led by JC Delgado, director of global sales, is based out of Fort Lauderdale, FL and serves both exporters and international partners. He brings more than 20 years of international sales and business development experience to his new role. The Global Business Team visits customers throughout the world with the aim of understanding the unique needs of each geography. Every team member is bilingual in Spanish, Portuguese, or both languages. The new site, available in English or Spanish, provides visitors with specific details about the brands and products available through Almo Global. Almo has also expanded its revenue-generating managed services business model to benefit international partners. Details about Almo Content Creation, Almo Installation, and Almo Control services are accessible on the Almo Global site.